Ukrainian fighters from SC “Borets”/ZR Team (Ukraine) successfully represented own country at the “Pan Jiu-Jitsu IBJJF 2018” championship. 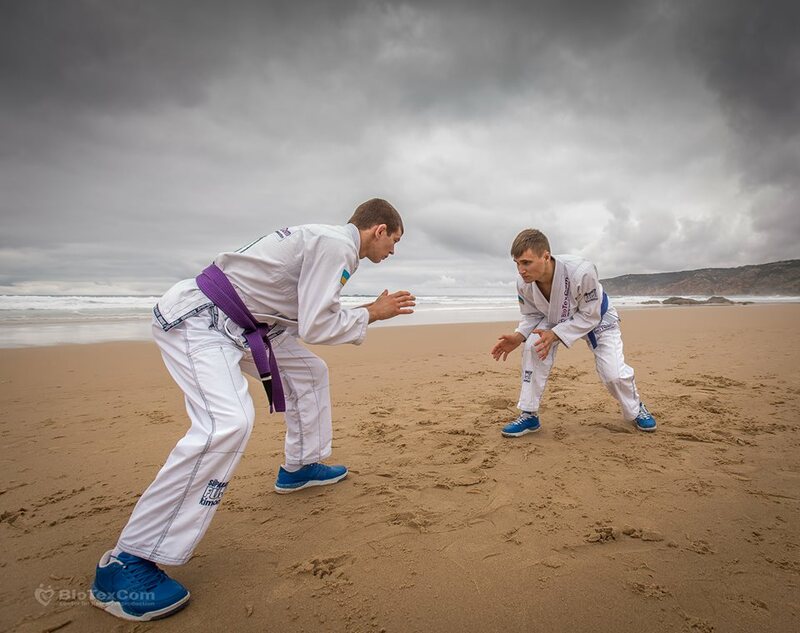 Yaroslav Blazhko, Roman Nepota and Serhii Krasovskyi competed with highly qualified sportsmen at one of the most prestigious tournaments for all BJJ fighters -“Pan Jiu-Jitsu IBJJF 2018”, that took place in Los Angeles (USA). This time Ukrainian fighters didn’t win and coach Ievgen Skyrda also noted that he even didn’t count on victory. Nevertheless it was a great and successful experience. According to Ievgen, there were many Brazilian fighters at the championship, who started practicing Brazilian jiu-jitsu from a very early age. So he didn’t expect five-year’ experienced team to win at the championship of such a high level. Instead of medals, Ukrainian fighters gained equally valuable acquisition, namely, experience and knowledge. «This tournament is the most difficult and interesting in our competitive practice. The “Pan Jiu-Jitsu IBJJF 2018” championship definitely surpasses European BJJ tournaments by the level of competitors. I’m sure, that every sportsman who aims to succeed in BJJ should once in a while take part in American competition like «Pan IBJJF». As for us, we have learned this lesson and made conclusions on what we should focus on more and what mistakes to correct in future. Participation in the “Pan Jiu-Jitsu IBJJF 2018” has helped us to reconsider our skills and showed the level we should strive for. We also thank all who unconditionally support us during championships. And special thanks to our sponsor Biotexcom company, with assistance of which we were able to participate at the “Pan Jiu-Jitsu IBJJF 2018”», - summed up Ukrainian coach, Ievgen Skyrda.